Recently I've gotten a lot of questions about the Google mobile algorithm change, which was rolled out on April 21. The change - which the press dubbed "mobile-geddon" - affects sites that are not mobile-friendly. If a web page is not designed to display properly on a mobile phone, it will be penalized and will show up lower in search results on mobile phones. The change will not affect search results on desktop computers, laptops, or tablets. If a site is not mobile-friendly, it should now appear lower in search results on mobile devices, which should result in fewer clicks, and less traffic. If a site is mobile-friendly, it should now appear higher in search results on mobile devices (because "unfriendly" sites have slipped lower), which should result in more clicks, and more traffic. Placement in search results (and hence traffic) on non-mobile devices should not be affected. Given these assumptions, we can assess the results of the algorithm changes by measuring the percentage of traffic that comes from mobile searches, both before and after the algorithm change. Mobile-friendly sites should see more mobile traffic, and unfriendly sites should see less. I used percentage rather than absolute numbers, because traffic can vary for many reasons unrelated to the Google change. Using Google Analytics, I examined eight sites that are mobile-friendly, and nine that are not mobile-friendly. I gathered data for the period from April 11-17, before the change, and for May 2-8, after the change. Both periods begin on a Saturday and run through Friday; there are no significant US holidays contained in either range. The aggregate results are shown below. Prior to the change, 30.6% of site traffic came from mobile devices. After the change, 28.8% of site traffic came from mobile devices. As expected, the percentage of traffic from mobile devices fell. The decrease amounted to 1.3% of overall site traffic. Prior to the change, 26.7% of site traffic came from mobile devices. After the change, 26.3% of site traffic came from mobile devices. Surprisingly, the percentage of traffic from mobile devices fell! The decrease amounted to 0.4% of overall site traffic. The fact that the percentage of traffic from mobile devices fell, even on mobile-friendly sites, calls into question the validity of the results - despite the fact that mobile traffic on "unfriendly" sites fell more (as expected). It may be that my sample size was too small, or that other factors I have not considered affected the results. But one thing is clear: the affect of the April 21 algorithm change is small. It was certainly not "mobile-geddon." Nevertheless, it's important to remember that mobile use is increasing. Google and other search engines will probably favor mobile-friendly sites more over time. 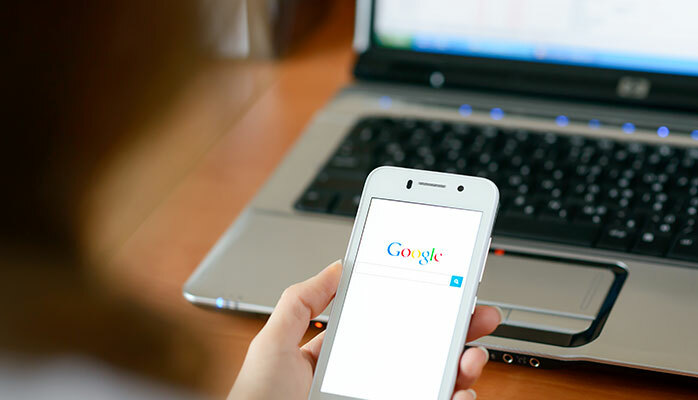 Plus, once you make a site mobile-friendly, it takes some time for Google to re-crawl the site and recognize the changes (see Were You Ready for Mobile-geddon?). If you haven't already made your site mobile-friendly, it's time. Were You Ready for Mobile-geddon? Is Silicon Valley Getting a Bad Rap on Diversity?